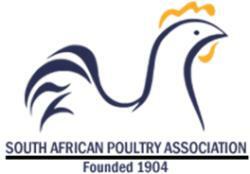 The South African Poultry Association (SAPA) is campaigning strenuously against imports from Brazil, the U.S. and other nations that collectively contributed to a volume of 570,000 tons in 2018, representing 25 percent of total consumption (assuming 50 million population and an average 41 kg. per capita). SAPA bases its current request for import bans on job preservation, quality and safety. According to Izaak Breitenbach, General Manager of the broiler branch of SAPA, all three major broiler producers in the RSA laid off workers in 2017 when faced with high production costs due to the drought which impacted the availability and cost of ingredients. Breitenbach as quoted in the RSA Sunday Tribune on March 3rd distorted reality in his promotion of a proposed ban on importation of chicken. The action he suggests would be illegal in terms of WTO rules and would contravene the African Growth Opportunities Act (AGOA) under which the RSA is granted favorable trading rights with the U.S. Breitenbach incorrectly claims that the chicken industry in the U.S. is “subsidized by the government” stating further “they receive subsidies for corn and soy feed”. SAPA is also agitating against Brazil by questioning the quality and safety of imports amounting to 348,000 tons in 2018. Marthinus Stander, Chairperson of Country Bird a major producer noted “We’re not scared of whole chicken carcasses coming to the country but we cannot compete with the prices that leg quarters are being dumped in South Africa.” There is however no evidence that producers in the U.S. are “dumping” leg quarters. The issue has been resolved by independent evaluation to conform compliance with WTO rules. Paul Apostolides, a relatively small family-owned producer operating on the East Coast of Kwa Zulu-Natal Province quotes a local producer-cost of $0.72 per pound which is realistic given feed, labor and energy costs in South Africa. In contrast he grossly understates the CIF price of frozen imported product at $0.20 per pound. At an average price of $900 per metric ton as per USDA FAS Export data for 2018, the 97,000 metric tons of U.S. leg quarters were shipped at $0.41 per pound FOB to which must be added freight, insurance, duties and related costs. In his concluding remarks, Breitenbach noted “Government needs to step in and protect the local industry and the thousands of jobs at stake.” With an imminent national election, it is in the interest of the ruling African National Congress party to ensure that there is “a chicken in every pot” or at least a U.S. leg quarter as favored in the Nation. The Government of the RSA can accept an imperceptible increase in the unemployment rate given the documented 30 percent unemployment figure and possibly 50 percent underemployment. The reality is that production of broilers in the Republic of South Africa has become non-competitive relative to Brazil, Argentina and the U.S. This is due to high labor costs and inefficiency, an exorbitant feed price, climatic extremes, deficiencies in power supply and a deteriorating infrastructure. Obviously companies with a product range comprising chilled whole birds and tray portions are in a relatively favorable position as they do not compete directly with frozen imports and market to a higher income demographic. It is evident from the Sunday Tribune article, that the journalist Mervyn Naidoo failed to check facts and figures with special regard to the costs of domestic production and imports and simply quoted his obviously biased sources. If imports were banned, the price of chicken would soar in consistency with the laws of supply and demand. As an example the price of domestic U.S. steel and aluminum rose following the injudicious imposition of a 25 percent tariff on imports in 2017. It is in the interest of the ruling African National Congress party to make available a relatively inexpensive source of protein for lower-income consumers who will effectively be supporters in the coming election. The ANC appears cynically willing to sell the RSA chicken industry down the river as a matter of political expediency.